Canada’s manufacturing sector lost 12,000 jobs in November and unemployment in the segment rose 0.7 per cent, according to Statistics Canada. Employment in the industry is down 2.9 per cent over the last 11 months having lost 50,000 jobs during that time. 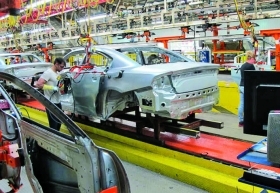 The unemployment rate in Ontario, the country’s manufacturing and automotive hub, stood at 6.3 per cent in November, relatively unchanged from October when it was 6.4 per cent. Compared with 12 months earlier, employment in the province grew by 105,000 jobs or 1.5 per cent. Nationally, the unemployment rate fell by 0.2 percentage points to 6.8 per cent.